Are hernia-mesh repair surgeries enough to cure hernias? Hernias are more common than most people would like them to be. It can happen from simple everyday activities like driving a truck or occasional stress like heavy lifting. In women, postpartum period increases their susceptibility to hernias. In reality, anyone can develop a hernia, and experts perform over 1 million surgeries in the US each year. Although they are similar in many ways, hernias can be different depending on their origin and location. It happens when a part of the tissue or intestine squeezes through the weak section of the muscle. The abdominal wall is the most common location of all hernias. Most commonly, they appear as visible bulges. Irrespective of their location and cause, most expert physicians and surgeons use hernia mesh to control the herniation process and support the weak tissue. Several studies show a direct link between the recurrences of a hernia after the implantation of the surgical tissue. 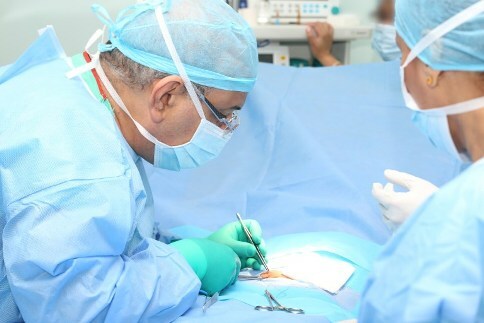 However, this process requires the attention of some of the most skillful and experienced surgeons, since the failure of the process causes severe, life-threatening complications. How common is hernia mesh complication in patients? Hernia mesh complications are as standard as 1 in 3 surgery cases. The two of the most common signifiers are pain and recurring infections. It is essential for the patients to learn about the possible complications that can arise from surgery. This medtruth blog post will give you a precise idea about the risks, potential complications and ways to avoid complications of a hernia mesh implant operation. Hernia mesh complications give rise to an indescribable pain that is akin to the suffering of herniation. The persisting discomfort can also lead to swelling and bruising. Skin rashes, redness, and edema can also occur at the site of the incision. A hernia mesh surgery can go wrong in many ways, but infection and bleeding are common signs of it. Redness, swelling, and heat in the area of the incision are telltale signs of an infection. Continuing infection can lead to fluid buildup, bleeding, and secretions. In case this happens, you need immediate medical attention. In medical terms, bowel obstruction is also a possibility of a botched surgery. That is common when the herniation occurs in the small intestine or large intestine. Even urinating can become a challenge in case the intestinal walls stick to the mesh. In more severe cases, doctors may need to remove the patient's surgical bowel. ED is an effect most men would not like to experience and admit. However, hernia mesh complications may impede blood flow to the testicles. If erectile dysfunction occurs for a prolonged period, doctors may have to perform orchidectomy (testicular removal) on the patient. That is one of the most distressing effects of an unsuccessful hernia mesh implantation surgery. Migration, fistula, perforation, and adhesion can lead to the recurrence of a hernia in the same location. It is crucial for your health that you speak with your doctor in case you experience one or multiple of these symptoms. In most cases, hernia mesh revision or removal surgeries are necessary.